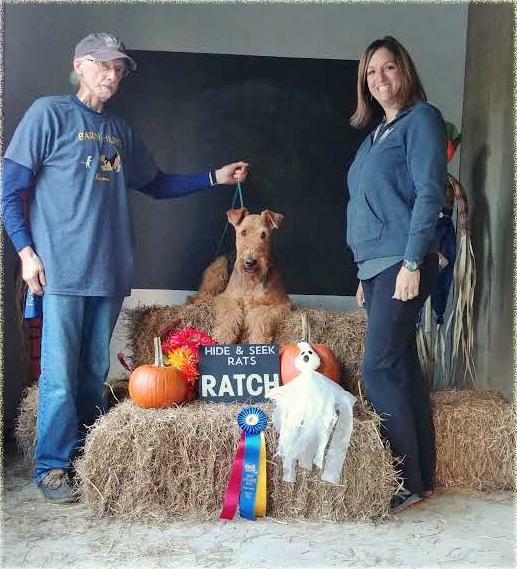 We are proud to announce that on October 13th 2018 "Kuma", Wildside Celtic Kuma RATCHX, with the help of her owner/handler John Keller, has earned the title of Barn Hunt Master Champion! Kuma is one of only 12 Airedales in the United States to earn this title. Congratulations on a job well done!